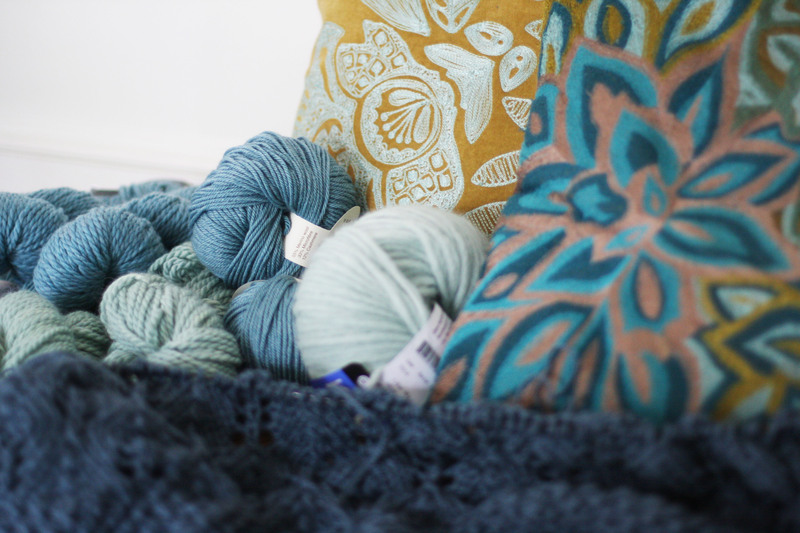 It seems like the spring and summer months are so full of other activities that it's hard to find knitting time. But once the nights get a bit cooler and fall begins I start casting on projects like mad. Its no different this year, and I find it is hard to know which project to pick up. It really is a bad habit, but one I can not break. I'm still chugging along on my afghan that I began about 4 weeks ago, and decided to knit some matching pillows. 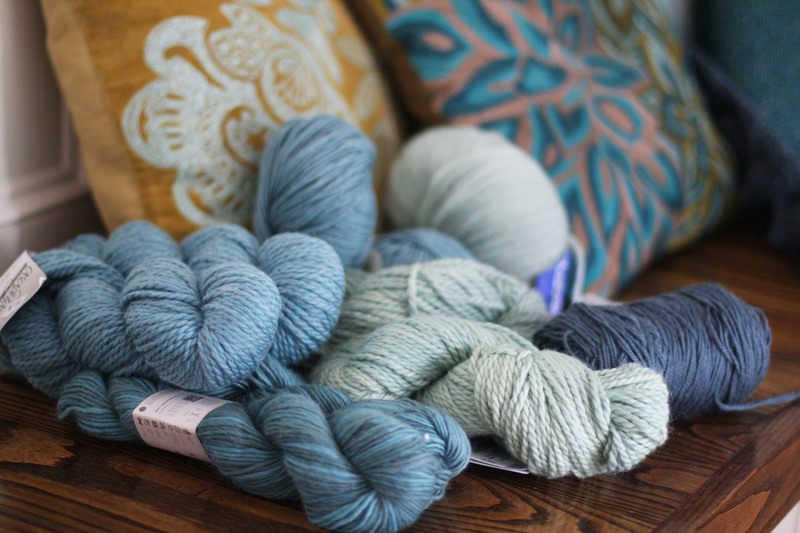 I found the colors and textures of yarn to match and coordinate with my current pillows. I'm looking forward to my new sofas filled with squishy pillows, wrapped in my completed afghan while knitting fireside. I have a long way to go...I better get knitting. Remember today is the last day to enter our Knit Along and drawing for a $25.00 gift card to Webs! We'd love to have you join us! I would love to join as this is my fave KAL group :-). But a lot has happened over the past few months! We have just recently moved from CA -> FL. Yes, west to east and there are still lots to do in the house as you can imagine. Knitting has been put on hold at the moment and oh my …the heat and humidity is something to get used to. I would love to see all your finish projects and be rooting for everyone! The colors are really great and I know you will whip them up in no time as soon as the boys are back on a schedule. Congratulations on your move! Hope it cools down this fall so you can wear all of your handknits ;) Or maybe you can start knitting in airy cottons from now on! Loving all the colors! They’re all my faves. I love those blues. They are very tranquil.